Trump Administration Restricts Abortion Clinic Funding! Trump Administration Restricts Abortion Clinic Funding! Good News Friday! Trump Administration Restricts Abortion Clinic Funding: We call it Good News Friday because it’s a chance for David and Tim to share some good news from across the nation and around the world. We don’t often hear good news from major media, however, here on WallBuilders Live, we love sharing news worthy of celebration! Welcome to the intersection of faith and the culture. 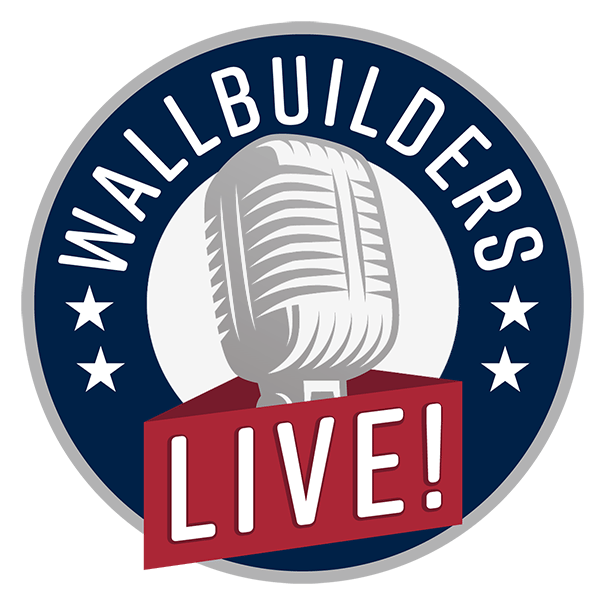 This is WallBuilders Live! Where we’re talking about today’s hottest topics on policy, faith, and the culture, always doing that from a Biblical, historical, and Constitutional perspective. We’re here with David Barton, America’s premier historian and the founder of WallBuilders. Also, Tim Barton, national speaker and President of WallBuilders, and my name is Rick Green, I’m a former Texas state legislator, national speaker, and author. You can find out more about all three of us at our website, WallBuildersLive.come, our radio site, and over WallBuilders.com. 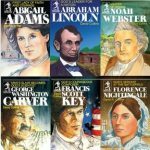 You can get all kinds of great tools and materials for you and your family to be inspired and to be equipped to be able to be better citizens to influence the world around you. While you’re there, check out that donate button. We hope that you will consider contributing to the program, because it allows us not only to have these great programs like today’s Good News Friday bringing all this good news, but also to spread that across the country and to equip more people, whether it’s training pastors like we do, or the legislators training, or the youth leadership training that we do. You are becoming a partner with us in making that happen when you make those contributions. Check out that donate button. Let’s jump in to some good news, the things you’re not hearing in the major media. Let’s just dive into our Good News Friday. David Barton is up first. David, what’s our first piece of good news? In the wake of that, Tim talked about how the polling had turned around. I’ve got a poll that went even deeper, and it looked at partisan beliefs on this, and I find this absolutely astounding. It may be a wakeup call, and it may have substantial consequences for the upcoming 2020 presidential election. I’m just going to read part of this article. Now here’s where they start getting into the numbers. So a huge shift toward pro-life being now equal to pro-choice. Just last month a similar survey conducted by the Marist poll—same polling group—found Americans more likely to identify as pro-choice than pro-life by a 17 percent margin. It was 55 to 38. It is now 47 to 47. Democrats moved in their pro-life identity from 20 percent to 34 percent. We’ve talked before on the program about how you just don’t have pro-life Democrats anymore, they’re all gone away. The Gap Between Pro-Life and Pro-Choice Democrats Cut in Half! Well, at least not at the federal level. A couple at the state level, although it is very unique. Generally speaking, the Democrat Party has become the party of abortion. Yeah, you’re right Tim. I should clarify that having an elected pro-life Democrat is a very difficult thing at the federal level. Very unusual. But apparently they are there in the Democrat ranks, because they’re now coming back. So they’ve gone from 20 percent to 34 percent of Democrat followers being pro-life. It says the shift was led by Democrats under 45 years old. Here’s the numbers. So even in that millennial range they are now identified as much more pro-life after seeing where the Democrats want to go with this. I want to grab this for younger Americans. One month ago the gap was almost 40 percentage, with only 28 percent identifying as pro-life and 65 percent as pro-choice. So it is a shift from a 40 point difference to a one point differential among 45 and down. So really big stuff, really big shift in there. That may really mean something for President Trump and re-election two years from now. Well, generally you want to elect people that that best reflect you and your values. And oftentimes, for many voters, they don’t know the position of people very well that they vote for. But generally speaking, you’re not going to elect or to vote for somebody whose thinking is totally different than yours. If you see the nation becoming more pro-life, it is only logical that the elected officials are going to become more pro-life because that’s the people they’re representing. You’re going to vote for people that best reflect you, and your values, and your beliefs. Certainly you would think this is going to have some real consequences when it comes to the people being elected, and the fact that we probably will see more pro-life people being elected. Well, it’s interesting that on the Democrat side now, as they’re lining up all their candidate against President Trump, I don’t know a single candidate out there who does not support abortion all the way through birth. And Vermont. Vermont just adopted it as well. That’s right. Very extreme positions out there, and it’s almost as if in trying to show that the chasm of contrasts between the two, they’re going so far the other direction it’s one of the reasons that—I think we’ve talked about on the program, maybe on the Foundations of Freedom Thursday—where the people that honestly, to us at least, would have the best chance of getting the Democratic nomination be somebody much more like a Beto O’Rourke, who does have a greater appeal because he doesn’t seem crazy right now. Granted, some of his policies and things he supports are crazy, but he doesn’t outwardly hold crazy positions like some of these other ones do. It really seems like the Democrats, in trying to contrast their position to President Trump, are going so far in the wacky crazy direction that it’s going to be hard for the American people to support most of their positions, although in the midst of polarization the people that don’t like Trump are likely support whatever the other side is, even with their ridiculous positions. I do think they will go too far and they will lose some of their base. Well, it’s interesting that we just had a special election in Connecticut. They’ve got a new governor in the building, and his administration reached down in the legislature and pulled guys out the legislature. But in the special election in Connecticut, for the first time in 25 years, the Republicans have gained some Democrat seats in that special election, and that just doesn’t happen. That’s a very blue state. Now you’re seeing some Republicans elected in special elections. Maybe that’s in the aftermath of the shift that’s going on. We need to try something different, but no matter what it is, the polling is very good news that there’s a shift with young people and with Democrats toward a more pro-life direction. Very good news. Quick break guys. We’ll be right back with more good news. Stay with us on WallBuilders Live. We’re back on WallBuilders Live. Thanks for staying with us on this Good News Friday. Next piece of good news will come from Tim’s direction. Tim Barton, what do we have for good news now? Well, the administration proposed a rule—actually the Department of Health and Human Services had even gone this direction last year, this is going a little further with it this year—in restricting funding to groups. So you only get money if you’re not doing abortions, and if you’re not referring people for abortions. Now, you can imagine for Planned Parenthood, this is kind of their industry, they’re in the abortion industry, and a lot of what they do deals with abortions. So they were not happy with this. In fact, their president came out and said, “The gag rule,” meaning the ability for them to be able to refer people to abortion clinics, they’re calling that a gag rule. The idea is you’re not allowed to talk about this, so you can’t refer them. They’re saying it’s the gag rule, and it’s unconstitutional. Here’s what the president of Planned Parenthood said. I just want to pause there for a second and let the irony sink in. People that are murdering babies are going to say the fact that I cannot tell someone where to go murder their baby is unethical. I would love to know how you define ethical, Miss president of Planned Parenthood. That was part of the discussion this morning. So it is ironic that she would talk about what’s ethical and etc. when they’re facing the prosecution they’re facing. Now, that liberal mantra where, “We’re going to talk about what it means to be loving and be tolerant,” as they’re completely intolerant and unloving of people they disagree with. This is kind of just the ironic position in the contrast where there is not the integrity from the left when they say, “Well, we believe in tolerance,” as they are intolerant. Well, no, no, no. Then you have no integrity. If you’re going to say you believe in tolerance, then you have to practice tolerance, and that means with people you disagree with. So it is a very positive direction coming from the Trump Administration. Very good news dealing with the limitations and the funding, specifically for groups that are practicing or trying to promote abortion. We are going to take a very conscionable, very ethical break, and they’re going to come back and get more good news. Stay with us folks. David Barton is up next with more. You’re listening to WallBuilders Live. This is David Barton with another moment from America’s history. Often today it seems that the federal government has become too intrusive in the local matters. And federal micro-management has now, unfortunately, become the norm in education, law enforcement, religious expressions, and even on what is and is not moral. 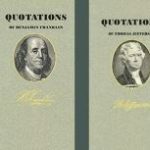 According to Thomas Jefferson, the original plan was for the federal government to direct foreign affairs but for the states and local communities the domestic and the moral ones. Roe v. Wade to be Overturned? We’re back on WallBuilders Live. It’s Good News Friday today. More good news at our website, WallBuildersLive.com, just go into the archives and look at those past Friday programs to get some more good news. David Barton has got some new good news for us. David? We talked last week about how the Supreme Court appears to be signaling very clearly that it wants to address some cases and readdress cases it’s had in the past because it wants to to reverse those cases. It wants to go back and make things more constitutional and get rid of the political activism that’s permeated the court for a number of years. It certainly appears that Roe v. Wade is in their crosshairs. We’ve seen a number of studies come out recently where the science is now really against Roe v. Wade. There have been these studies coming out, not necessarily by pro-life groups, there are university studies and others, that come out just looking at the science involved. So what happens is the court has been whittling away allowing states to restrict Roe v. Wade, and because of that there’s a lot of folks who believe that Roe v. Wade is headed for its demise. Frankly, I believe that’s what caused New York and the governor of Virginia to say and do what they’ve done, is because they think Roe v. Wade is on the way out. And I think there’s actually around 13 states that are working to promote and pass legislation to support abortion, and to defend the right of their state to have an abortion. It’s actually a pretty interesting thought, because the federal constitution has limitations. And actually, the tenth amendment says whatever is not in the Constitution does belong to the right of the states. The states’ going to make that decision. It will be an interesting discussion for another time about how this really unfolds. Well, it’s not just the more pro-abortion states. I’ve got an article that says Arkansas Governor Asa Hutchinson signed a bill to ban abortions once Roe v. Wade is overturned. So on our side, we’re seeing that it is probably coming down, and when it comes down we don’t want to be an abortion state. Here’s another article that says: Missouri joins important list of pro-life states with the strongest pro-life bill in the country. They just voted to end abortion and ban abortion in their state. Roe v. Wade is overturned, and it looks here like Louisiana, Mississippi, North Dakota, South Dakota, Arkansas, all these states have already voted to ban it. Then Kentucky, Tennessee, and Missouri have bills pending, Texas and other states never took their anti-abortion bills off the books, believing that if abortion ever got overturned we still got the laws on the books. So there is this thing by both sides, that they’re looking at this, and they think something’s going to happen with Roe v. Wade. So states really are taking a fairly active position anticipating this U.S. Supreme Court is going to make a decision, maybe to eliminate the current position of Roe v. Wade and allow the states to decide. If that happens, states are gearing up for whether they’re going to be a pro life or pro death state, so to speak. I guess a lot of good news on the pro-life front. Even more coming up, so stay with us. We’ve got more good news for you here on WallBuilders Live. This is Tim Barton with another moment from American history. As the American War for Independence began, the president of Yale was the Reverend Naphtali Daggett. When New Haven, the home of Yale, came under attack about a hundred citizens rushed out to meet the British. The Reverend Daggett galloped by them on horseback, his clearable robes flowing behind him in the wind. He took up a solitary position atop a hill. The 2,500 British soon put the townsfolk to flight but the Reverend Daggett continued to stand alone firing down on the advancing troops. A British officer confronted him, “What are you doing there you old fool? If I let you go, will you ever fire again on the troops of his majesty?” Nothing more likely was the preacher’s reply. America’s early pastors personally confronted danger and courageously led their communities. 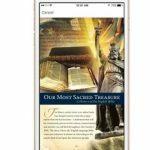 For more information on Pastor Daggett and other colonial Patriots, go to WallBuilders.com. We’re back here for our final segment of good news today, and Tim Barton’s up. Tim? Hey guys. This is from Washington state, and this is actually a judge overturning something a city had done. Pacific Justice Institute is one of the religious liberty law firms we talk about on occasion who do great work to defend the rights of individuals, specifically their first amendment rights and their religious conscience rights. There was a preacher who was outside an abortion clinic, and last year he was confronted by a police officer who gave him a ticket. So, not made with any kind of electronics. Not a megaphone. Simply his voice. He got a ticket for being on a public sidewalk, using his voice, and they call this a disturbance. It was because he was outside an abortion clinic, and this pastor is known for his involvement in the community. The city does have some code in place about noise violations, although it does not mention the human voice anywhere in the noise violations. But in the midst of this, this judge came back and the judges from Benton County District Court dismissed a charge stating the city’s noise ordinance violates the U.S. Constitution with its restrictions on free speech. He emphasized the city cannot restrain speech just because the message annoys the public, which ultimately is what this was about. He’s outside an abortion clinic talking about whether it’s the evil of abortion, or whether it’s God or God’s love, or judgment, or I don’t know what he was saying. The judge made the point that just because somebody annoys you doesn’t mean you can give them a ticket and tell them they’re not allowed to talk anymore. The judge even pointed out that the city’s noise ordinance policy doesn’t even list the human voice as one of the things that violates the policy. So it really was good that you had a judge from Washington state, which is not known as a bastion of conservatism. This pastor had this ticket removed and this is now something the city knows he’s allowed to do. It is a little silly that you had an officer who didn’t recognize that this was ridiculous, or unconstitutional, or whatever the situation, the officer still gave him a ticket. So that seems a little silly, but it is good that this was overturned and now he is free to go back and continue to preach outside this abortion clinic. I like the way you put that, Tim, that the First Amendment protects annoying speech. Well, absolutely. When you think about the British, any time you said something that the king didn’t like, he could silence you. So absolutely, the First Amendment protects even annoying talkers. Trump Administration Restricts Abortion Funding and More on Good News Friday! Good stuff. Thank you for sharing all that with us today. There’s more available at WallBuildersLive.com. Part of the theme that I got from today and the stories that you were sharing is in the pro-life movement. All these different victories that are happening, things are happening generationally as well. So as we’re signing off today, I just want to encourage parents and grandparents out there, and any young people listening, to look into some of our youth leadership programs. 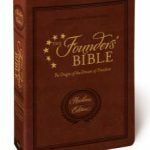 We have some great opportunities for you to get equipped to lead in every area of the culture—doesn’t have to necessarily be in the pro-life movement, though there’s lots of opportunities to make a big difference there—it could be political, could be going into making movies, or going into business, or whatever it might be. We just want to get you equipped to be a good citizen. Be sure and check out our leadership training at WallBuilders. You get to spend two weeks on site, in our library, going through those original documents, going over to Mercury 1 with Tim and getting to experience the studio there, and all those great things. 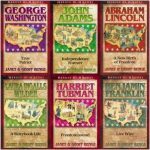 So check that out at WallBuilders.com today and then also Patriot Academy, multiple opportunities throughout the summer. You get all those dates in the state capitals, where we’ll be. 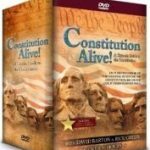 That’s available at PatriotAcademy.com. Then we have the program called High Point, out of Hot Springs, Arkansas. In fact, my kids have all been through it and the Barton’s have all been through it. It is a wonderful program for leadership. Check that out at HPoint.org. We’ll have links to all these programs today. Thanks so much for listening, you’ve been listening to WallBuilders Live.